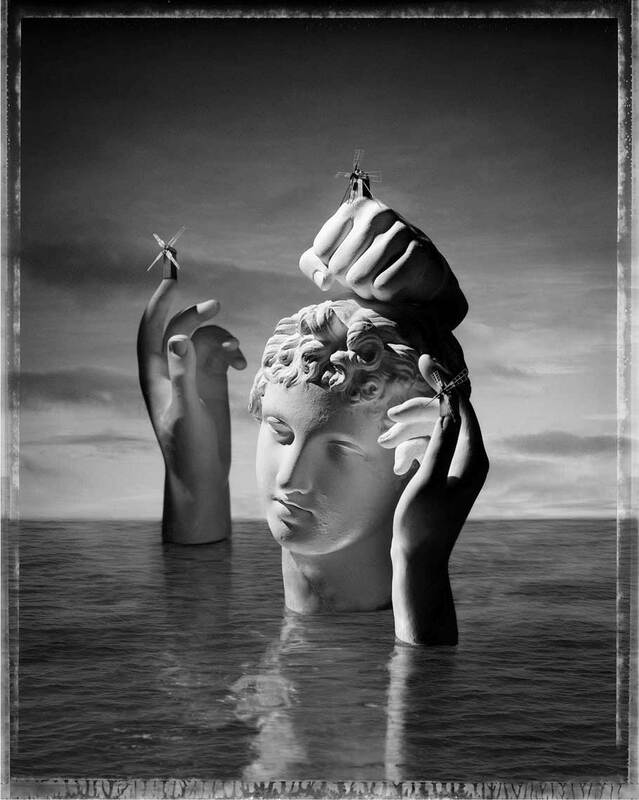 A surrealist photograph of three hands and a head making an island in the ocean. On top of each hand is a windmill symbolising wind power. It is a monochrome image originally photographed on Polaroid Type 55 black and white film in Paul Biddle studio and the windmills were added afterwards in Photoshop.